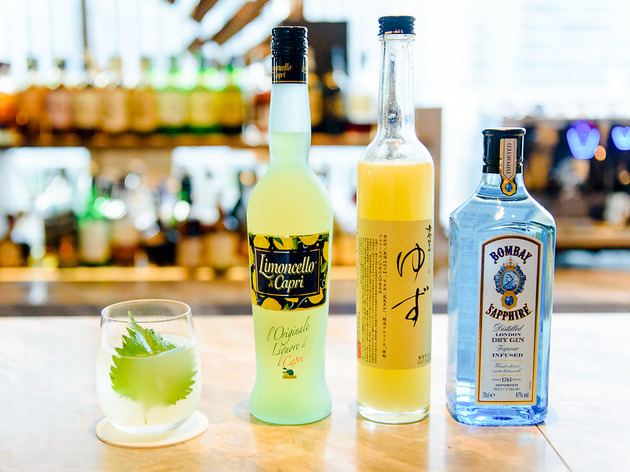 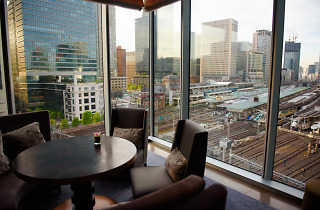 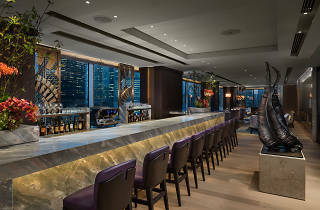 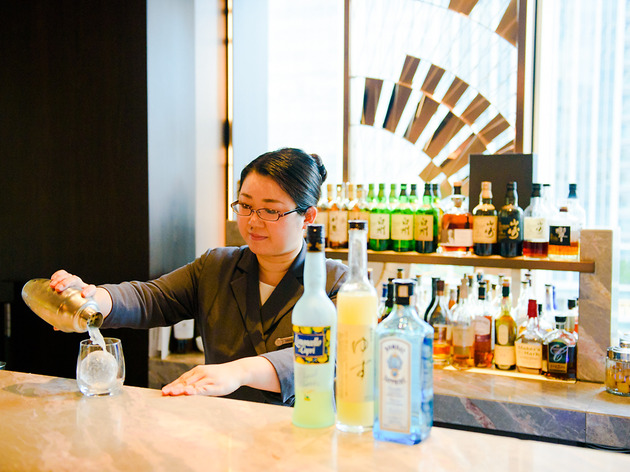 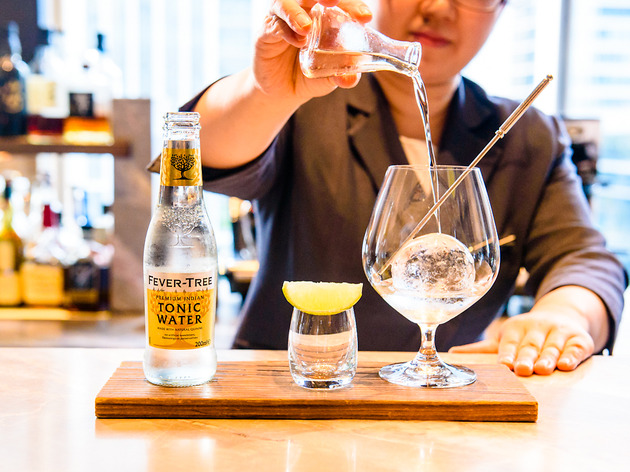 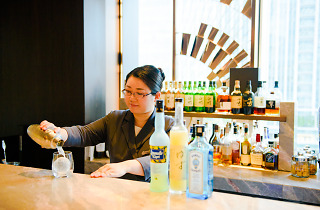 Finding your way up to this hotel bar right by Tokyo Station can be tricky, but nailing it on the first try is also a sure way to impress your companion. 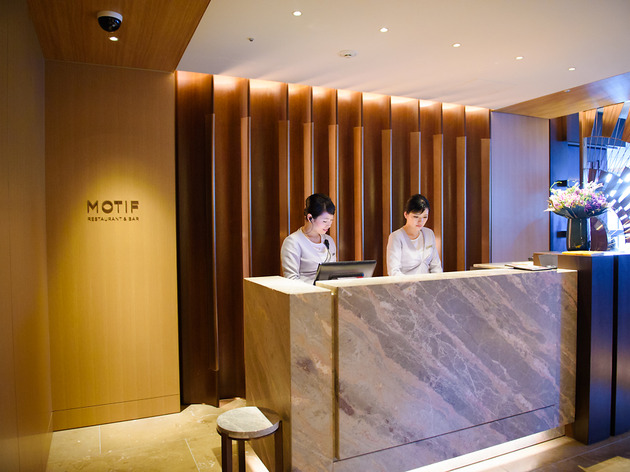 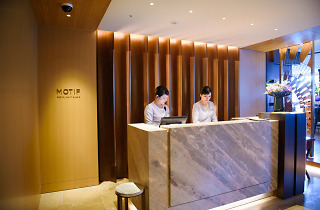 Skip the main entrance to the office-filled, 31-storey Pacific Century Place building on Sotobori-dori and instead make way for the right-hand side of the structure, where you’ll see a sign for the Four Seasons Hotel. 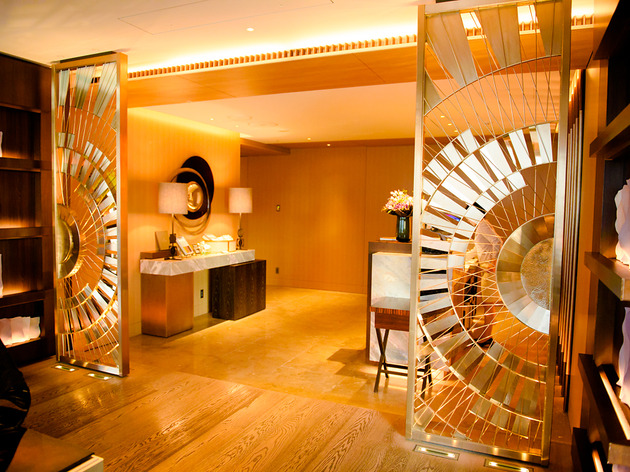 Enter through the sliding doors, go all the way to the end of the corridor, take the dedicated elevator to the seventh floor and head around the back to encounter a bar so blissful that you’ll hardly believe it sits inside a faceless glass-and-steel tower. 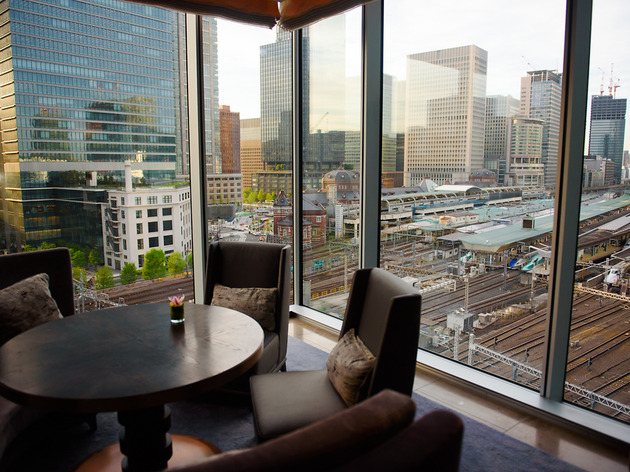 Facing the train tracks and platforms of Tokyo Station, the huge windows offer excellent views. 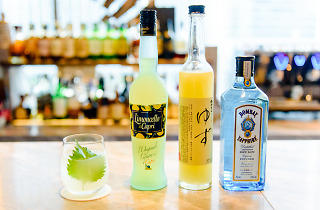 Grab a seat at one of the tables next to them, pick off the seasonal cocktail menu and plan your next journey together while gazing out over the Shinkansen trains arriving and departing beneath you. 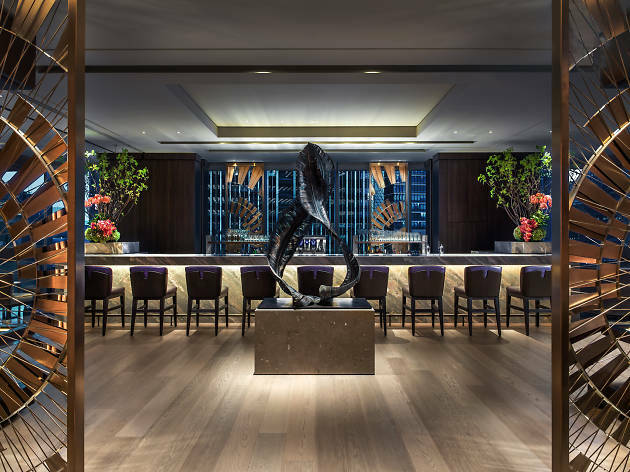 Those looking for a solid meal will want to pick Motif Restaurant, the Four Seasons hotel's signature French restaurant, which offers a 'farm to table' culinary collaboration by head chef Hiroyuki Asano and 'culinary advisor' Hiroshi Nakamichi. 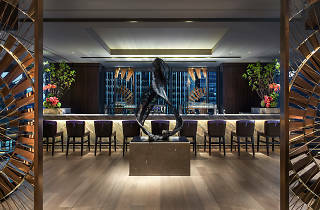 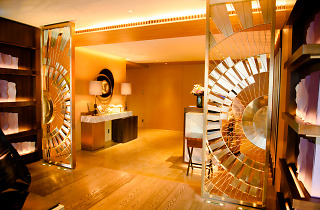 The Social Salon is the main dining area, where guests can indulge in the duo's figure-friendly creations, while the Living Room is a bar offering casual lunches – as well as afternoon tea that combines wagyu burgers with wine and cocktails. 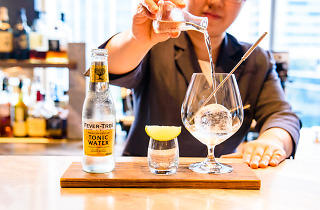 Finally, the Gastronomic Gallery is another casual dining zone that offers a buffet during the day and transforms into a tapas bar in the evenings.